Do you ever wonder if your child with a disability understands and appreciates all that you do for them? Do they comprehend, even at a young age, the battles we fight, the tears we cry, the sleepless nights, and the joys that they have brought into our lives? I'm not sure of the answers to those questions for my children, but when I see a story like the one linked below, it gives me hope. Yesterday, the support organization of which I am President, Dreamcatchers (Families Whose Lives Are Touched by Deafblindness), collaborated with another Virginia support organization, VAAPVI (Virginia Association for Parents of the Visually Impaired), for a family fun day at the University of Richmond. And although the turnout was less than expected, the setting was ideal and I think everyone who attended had a great time. Ashley's intervener, the lovely Miss Amy, helped set up and man the Dreamcatcher tables. We had our great (donated) banner, some new brochures, and pictures of both our past annual family retreats and of Chancellor, one of our adorable Dreamcatcher children who was called back to Heaven earlier this year. And Noah and Ashley also managed to work in some fun for themselves! Noah enjoyed showing his Dad how to hammer nails to build a birdhouse, and Ashley made sure the fire engine had correctly spelled 'Dial 911'. Ashley's favorite, however, was not the face painting, the balloon toss, the free food, or the clowns. Nope - her day was complete when she found the orange traffic cones! and at times like this, it's really hard to understand and accept that there is a master plan. No Child Left Behind? Really? There have been 19 days of school so far this new school year. And for all 19 of those days Ashley has not had the support called for by her IEP. Ashley’s IEP calls for the services of an instructional assistant who is ‘sufficiently proficient in sign and speech so as to provide a language role model.’ The IEP states she should be receiving those services for 6.75 hours each school day. The school day is exactly 6.75 hours long. Since providing such services has always been a point of contention in past school years, I checked with Ashley’s school staff prior to the start of this current school year. I was told, of course, that they had not been able to find anyone to fill the position, and that the classroom assistant in Ashley’s class would fill in until someone was hired. The classroom assistant is ‘sufficiently proficient’, and I am more than pleased when she works with Ashley. So, what’s the problem? The problem is the classroom assistant is entitled to a lunch break every day. So, for 30 minutes each day, Ashley is without communication support. The classroom assistant is also entitled to sick leave. So, for one full day this month, Ashley was without communication support. And, the classroom assistant must attend weekly physical therapy sessions outside the school building for an injury she sustained last year in the classroom. So, for two hours each week (in addition to the lunch break and the sick day), Ashley is without communication support. None of this is the fault of the classroom assistant. She is doing everything she possibly can to assist Ashley, but the school district has rules that must be followed (lunch breaks, sick time, etc). Ashley is profoundly deaf in her right ear, and has a severe loss in her left ear. She is totally blind in her left eye, and has a clinical measurement in her right eye of 20/2000. She communicates with sign language and prefers that whoever signs to her does so directly in front of her ‘good’ eye. She doesn’t use a communication board because she has chosen not to. She doesn’t speak because she has never been able to hear well enough to learn to speak. Sign language is her preferred and only means of communication. None of this is news to my school district. Ashley is currently in the eighth grade and has been receiving services from this same school district since she was two years old. At the start of the second week of school, after attempting to resolve the issue with my school district and getting nowhere, I filed a complaint with my state Department of Education. At that point, a very long timeline goes into effect due to all the administrative aspects of the complaint investigation and resolution. 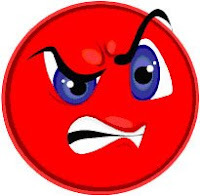 Monday, September 29th, the school district is required to file a response to my complaint – unless of course they don’t and then they are given another 7 business days. The actual investigation by the Department of Education may then take up to 50 more days – for a total of 60 days – unless ‘exceptional circumstances’ exist and then they get more time. If the school district is found to not be in compliance, they have 30 business days to file a corrective action plan, unless they don’t file. Then the Superintendent for the Department of Education is notified and gets involved. Then….who knows. That’s where the documentation stops. So, do you think this will get resolved this school year? Here’s a hint – I’m getting more than a little perturbed and I have my attorney’s phone number on speed dial. for the three straight hours of sleep I got last night. Ashley's Melatonin may be starting to work! that tomorrow is opening day for the movie Nights In Rodanthe. I love Richard Gere and Rodanthe (Outer Banks of North Carolina) is one of my favorite places in the world! Ashley loved meeting the leopard gecko that one of her teachers brought to school! I heard from Ashley’s birthmother again last week. After finally making contact with her a couple of years ago, I get emails about every 4-6 months asking how Ashley is doing. Here is a post I wrote a while back after speaking with her about an upcoming surgery for Ashley. While most of the people who are aware of the circumstances surrounding Ashley’s birth don’t understand why I would even entertain a conversation with her birth mother, I do feel it is important for several reasons. First, I want to have as complete a picture of Ashley’s life, and that includes her life before I met her at 18 months old, as I can. I want to be able to answer her questions should she have any about her birth and her birthmother. I need to know if anything happened to Ashley in those first 18 months of life that could possibly have a lifelong impact on her. Secondly, I would really like to have some family medical history. Ashley’s birthmother has been reluctant to share that information with me about her family, and has refused to provide contact information for the birthfather. But, I’m still hopeful that one day she may be willing to share such information. Yes, Ashley has a lot of medical conditions already – most related to her premature birth and her birthmother’s abuse of alcohol during pregnancy, but is there more? Did heart disease or diabetes run in the family? What has been the average life span of the members of Ashley’s birth family? Has there been mental illness diagnosed? I don’t want these answers to judge, but only to help Ashley prepare for her future. And finally, although this is selfish of me, I would like Ashley’s birthmother to know Ashley – to see what a happy, loving child she is – to know that Ashley is the love of my life and that I will always do what is in her best interest. I would like for the birthmother to agree that Ashley is better off now, and maybe with that knowledge, move forward to silence her own demons once and for all. Ashley brightens the life of everyone who meets her, and I think her birthmother could use a little of that brightness – both now and in the future. As I’ve read in so many other blogs, it’s tough being a teenager with an ‘unseen’ disability. My son, Corey, is diagnosed with Asperger’s Syndrome. As a result, he misses many social cues and emotionally and socially is much younger than his 16 years. That was never more evident than this past Saturday evening. Corey is in his high school JROTC. The group took a trip to an air station about two hours from home Saturday morning, and returned to the school at 6pm. Although he had ridden his bike to school, I decided to surprise him by picking him up, and then picking up dinner for us all. Imagine my surprise when I saw him get off the tour bus and walk hand in hand with a girl to a secluded spot under the trees behind the bus. This is the same boy who was JUST CRUSHED at the start of school because the girl he had been madly in love with decided she no longer was interested in him. And here he was, picking up the pieces and rubbing his hands all over them. Setting my surprise aside – it really is a surprise to see for the first time your teenaged child engaged in ‘contact’ sports – I pulled the car up, honked the horn and gestured for Corey to come to my car window. I asked if he wanted a ride home – he didn’t – and what he wanted for dinner – he told me. And then before I could put the car in reverse, he and the girl were once again glued together. I picked up dinner and formulated my ‘discussion’ plans. This is new territory for me, so I wasn’t sure exactly how to proceed. What I did was keep the discussion lighthearted but with a very definite message that couldn’t be missed, even by a child with Aspergers. Corey is 16 years old. He told me the girl was 18. I know that’s not a big difference, but in my state, such contact translates to contributing to the delinquency of a minor for the girl. I continued to explain the possibilities of their actions, and left it at that. I could tell he was thinking over everything the rest of the weekend, but I was pleasantly surprised when he came to me Sunday night as I was washing dishes and said, “I’m going to break up with [18 year old girl] because I don’t want her to get in trouble.” Although I still don’t understand the ‘dating-breaking up’ concept used by today’s teenagers, I was proud of him for thinking of someone other than himself, and not letting his hormones rule his brain. Of course, seeing [18 year old girl] at school on Monday could change everything. But, Monday evening, Corey came to me again and said that [18 year old girl]’s father agreed with me and that the two of them were going to ‘just be friends’. I’m not sure that the raging hormones won’t rule yet again, but for now, I am very proud of my 16 year old, and hope that he has become just a little more adept at interpreting social cues. Are you an American Express cardholder? If so, you have the chance to make a positive impact on the lives of millions with just a vote. The American Express Members Project will take your ideas and your votes and combine them with their money to fund needy and inspirational projects. You just need to tell them which of the projects you think should win. The number of projects is currently down to 25. In seven days, the top five projects, based on your votes, will be announced. And then on October 14th, one winner will receive $1.5 million. My personal favorite project is the International Medical Corps, "Saving the Lives of Malnourished Children". You can check them out here. Yesterday, Dave Hingsburger posted a video on his blog, Chewing the Fat, produced by a group called the Deaf Performing Artists Network (D-PAN). The video was an interpretation of Christina Aguilera's song, "Beautiful", and the piece was absolutely incredible and indeed "Beautiful". I had to know more about D-PAN, so I checked out their website, and you should also. I found another video there which I like even more than "Beautiful". It is an interpretation of the John Mayer song "Waiting For The World To Change." I've included it below so you can enjoy it also. I hope you all have a great weekend filled with love, sunshine, rest and multiple scoops of your favorite ice cream! that Big Brother is over and DAN WON! for the lovely cool mornings we've had this week. Fall is definitely setting up house in my corner of the world. 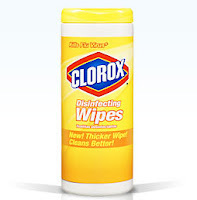 for tubs of Clorox wipes. Since I am still rather obsessive/compulsive about keeping my new bathroom sparkling clean, the wipes make the job so much easier. for neighbors who checked on my family this morning after hearing that there was a very bad wreck at the end of our street. We weren't involved, but our neighbors were checking on everyone. for the excellent senior pictures my brother, Carl, took of my soon-to-graduate son, Chip. for the hummingbirds that have been hanging out around my house. It's getting cooler, little buddies. You may want to start heading south. How do you define acceptance? What does the word mean as it relates to you or your family member with a disability? Do you get angry if you think people are not accepting, and I don’t mean just a token acceptance? Do you feel like all, most or none of the people in your life accept your family member with a disability? Have you done things trying to force people to accept your family member with a disability? If so, have they worked? Have you given up on trying to make people accept your family member with a disability? If so, was it an easy choice and does it remain easy to live with that approach? How does your family member feel about acceptance? Do you believe they are happy with the circle of people around them at this particular time, or do they wish for more? When the lovely Miss Brooke, daughter of my friend, Lynnette, was in the hospital to have a tracheotomy, Amy (Ashley's aide) and I decided to dress up to surprise Brooke. So, we drove two hours to the hospital dressed up as Princess Pink (me - on the right) and Glam Girl (Amy - on the left). Our reward was seeing the smile on Brooke's face! Make sure to hop on over to 5 Minutes For Special Needs to check out all the other wonderful pictures. 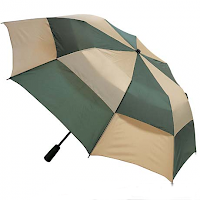 And, remember to enter the BidetSpa giveaway contest also. What If WE Shared OUR Lives? How do you think viewers would respond? If they saw my Ashley having dinner with the family, burping as loudly as she could, and then laughing hysterically, especially if her brothers started laughing at her, would they think it was amusing? If the cameras followed me on the six trips out of bed each night to go to her room, yell at her to get back into bed, find the vibrating toothbrush she likes to put in her mouth to help her get to sleep, and find the exact right piece of wire (must.be.the.red.white.and.blue.one until it must..be.the.purple.one until it must.be….) that she needs to hold while drifting off to sleep, do you think the viewers would be thanking their lucky stars they weren’t me? Would the viewers feel sorry for her when I insisted she dress herself and put her own shoes on? Would they believe me to be the worst mom in the world when I made her do her own laundry? Would they even understand that a 13 year old deafblind child IS capable of doing her own laundry? If the viewers had young children themselves, they probably could relate to how long it takes us to get ready to go anywhere. And they could probably relate to always having a mess around the house. But would they be repulsed by tube feedings, seizures and the like? Would it make them stop watching the show? Ashley visited her neurologist last week for her 6 month seizure med 'tune up'. One of the questions I posed to the doctor concerned sleep - or rather, the lack of sleep - mine and Ashley's. On the average of one or two days a month, Ashley will sleep pretty well at night. That means she only gets up 2-3 times. The other 28 days of the month, she turns into a nightime party animal, and feels the need to include me on all her celebration activities. It's really wearing me down. I've posted several times in the past about Ashley's sleep difficulties. So, it's not like this is a new situation. I guess, though, that with my Lupus and Rheumatoid Arthritis beginning to take more of a toll on my body, I'm less able to cope with just a little bit of sleep. I pleaded with the doctor to help me figure out how to get Ash to sleep better. He recommended Melatonin. I tried Melatonin with Ashley when she was much, much younger, and it seemed to have no effect. But, I'm willing to try again. I am curious, though, what other people's experiences have been with Melatonin. Have you tried it to help your child sleep? If so, how much do you administer? Does it help your child fall asleep and stay asleep, or just fall asleep? Have you noticed any side effects to its use? I encourage you all to hop on over to the 5 Minutes for Special Needs site and enter the giveaway contest! 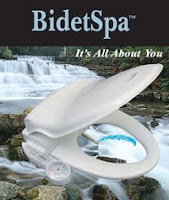 The company that manufactures the bidet toilet seat that I had installed in Ashley's remodeled bathroom, and which I reviewed a while back, graciously agreed to provide a toilet seat, the BidetSpa - valued at $549 - for a contest. Just leave a comment or write a blog about why you would like to win! The team of writers at 5MFSN and a representative from the Bidet Shop will decide who has most compelling story, and that person will win and have a BidetSpa delivered to their door! The contest will be open for 2 weeks, and you will have until September 27th to leave your comment or provide a link to your blog story. Like I said in my review, I wonder where this thing has been all my life, and I know you will feel the same if you win your own BidetSpa! And it's as relevent today as it was when the flag was first sewn. It's time for the Virginia Special Education Regulations to be renewed. Unfortunately, some of the proposed reg changes would be catastrophic to families of children receiving special education services in Virginia. The most notable proposed changed would have let school districts decide, WITHOUT PARENTAL CONSENT, that a child was no longer in need of special education services. But 77,000 parents in Virginia have spoken - the most to ever speak on a change to the regulations. So has the Governor and other key legislators. And although not yet fully approved, it seems that change will be removed from the proposed regulation changes. I'm proud of you, Virginia, very very proud! Do you look at other children - foster children, homeless children, children not receiving what you think they deserve - and want deep down in your heart to take them all home with you? Do you feel utterly depressed that you can't make the world a better place for them? I warn you that it is very long. You will probably cry as you read it. And if your spirit is not touched in a way it has never been touched, then I hope your path and mine never cross. that Ashley's teacher from last year stopped by last night with her beautiful new baby boy. for new car dealers whose first question to me while shopping their lot is NOT "What color were you looking for?" for lemon grass tea from Adagio Teas. Actually all of their teas are great - very fresh! for the transdermal anti-inflammatory patch my neurologist gave me to try for my very sore elbow (rheumatoid arthritis). It's really working well - better even than the cortisone shot he tried. for the 100 calorie packs of Keebler Mini Fudge Stripe cookies. Just 16 packages and my calorie day is done! As a parent, do you ever feel like you should be doing more for your children? Do you wish you had more time and more energy, and do you worry that your lack of those two things will have an extremely negative effect on them? Do you wonder what your children see when they look at you? Do you wonder if it good or not so good? Do you worry that they may not completely understand your decisions to fight the battles you feel are important to their health and well-being? Do you sometimes feel like you might not be fighting the right battles - that perhaps you are focusing on the wrong things? Do you think they resent that you are at their school so often, talking to staff and administrators, and that perhaps they would just rather you be at home with them? Do you worry that they are tired of seeing you challenge doctors and nurses, even if the challenge is in your child's best interest? Do you think they feel the deep abiding love you have for them when you are fighting 'systems'? Do you set your health and well-being aside so that your every thought and action is related to making them happy and prepared for a life without you? Even though you are completely drained and exhausted beyond words, do you still have a tough time saying 'No' when someone asks for help, help you know you have the expertise to provide? Do your fear your child's death before your own, but then also wonder what will become of them if you are no longer there to take care of them? Does your heart just ache sometimes because you can't take away all the pain and rejection your children will encounter? Do you pray for answers and strength to keep going when somedays you would just rather curl into the fetal position under your bed covers? And do you feel that all you do accomplish is 'worth it'? Sometimes your teacher can be one of your best friends! Ashley and I went Krogering on Sunday. We were out of potatoes, and Ashley’s day is not complete without a serving of mashed potatoes. She was having a great time walking around the grocery store, her arm linked in mine as I acted as her sighted guide. As we toured the ice cream section, I heard something behind us that made my heart stop for a moment – a young middle school aged boy, standing with two of his friends, said “Once upon a time…” The other two boys started snickering and laughing, all the while glancing at Ashley. Little did these boys know that I was quite aware that they were referring to the line from the movie, Tropic Thunder – “Once upon a time there was a retard”. Little did they know that they were soon to witness my barely contained anger. I followed them down the aisle, and said in my outside voice, “My daughter is beautiful and I love her very much. How do you think your mothers would feel about you at this moment?” The boys were getting angry, but one was level headed enough to insist the other two leave the store with him. I don’t feel like I handled the situation very well, but I also don’t know what I should have done differently. Do you have any suggestions for me? All parents want their children to have good adult role models. But finding such a person for a child that has a low incidence disability, such as deafblindness, is extremely difficult. Ashley knows some adults who are deaf, and some other adults who are blind, but in the 11 years she has been my daughter, I have never met a deafblind adult that I believed would be a good role model. I want to find a deafblind adult who is happy - who does not linger in self-pity - one who feels she or he has been successful in life, in whatever way they define success - and one who has proven that deafblindness is not a sentence to an isolated life. "I love my life so much that I could not hate myself for what I am," she typed. "I am deaf and blind. Why should I hate myself?" I think you will enjoy reading about Nancy as much as I did! The award-winning Big Apple Circus is not only a world-renowned presenter of live family entertainment but also a leading not-for-profit performing arts institution with community outreach programs that are unique to the entertainment industry. Year-round the Big Apple Circus serves not only the communities in which it performs but also children and families across the nation. CLOWN CARE - Clown Care, the Big Apple Circus’s signature community outreach program, brings the joy of the classical circus to hospitalized children at 19 leading pediatric facilities across the United States. Circus Co-Founder Michael Christensen created the program in 1986, based on his desire to provide a unique service to youngsters undergoing treatment in pediatric facilities. In partnership with a participating hospital’s chief medical and administrative staff, members of the Clown Care team conduct ‘clown rounds,’ their own version of medical rounds, where the healing power of humor is always the prescription. VAUDEVILLE CARAVAN - Vaudeville Caravan brings the joy and wonder of the classical circus to elderly living in residential care facilities. The program utilizes music, juggling, magic, and improvisational theater to create personalized, meaningful interactions with the elderly residents at eight Chicago-area nursing home facilities, and also with elderly veterans at the Veteran’s Administration Hospital of Hudson Valley’s Long Term Care facility in Montrose, NY. CIRCUS AFTER SCHOOL - Young people and education have been a part of the Circus since its founding in 1977, reflecting the enduring appeal the circus arts have for children from all walks of life. Circus is an ideal activity for after-school enrichment, and over the years the Big Apple Circus has sustained its commitment to educational programming. Throughout, it has provided at-risk youth with the highest quality experience, engaging and empowering them to achieve their full potential. CIRCUS FOR ALL - Through Circus for All!, the Circus provides more than 50,000 complimentary and subsidized tickets to performances of the Big Apple Circus’s big top tent production to not-for-profit organizations serving children facing physical challenges and economic adversity and to public school groups. CIRCUS OF THE SENSES - First offered in 1987, Circus of the Senses is a special performance offered free of charge to children with hearing and vision impairments and other disabilities along with their teachers, families, and caregivers. Presenting a slightly modified version of the Big Apple Circus’s annual production, the program allows children and adults with significant challenges to experience the performing arts in a meaningful and compelling way. The program exemplifies the Big Apple Circus’s commitment to the community and its ability to transcend the boundaries represented by language, age, culture and physical capacity. Wireless audio headsets, which use a state-of-the-art infrared transmission system, are distributed to allow visually impaired audience members to hear Circus Founder and Co-founder Paul Binder and Michael Christensen deliver a live play-by-play description of the action in the ring. In addition, American Sign Language interpreters are strategically positioned in spotlights to sign throughout the performances. Individuals with vision impairments have their choice of a large-print program or a 15-page Braille program, distributed in advance, each of which describes the various acts in detail. Finally, there is a “touch session” after the show where children are welcomed into the ring to meet the artists and to literally feel a clown nose, a juggler’s clubs, or the silky coat of a performing dog. Circus of the Senses is currently offered free-of-charge five times a year, in New York, Boston, Atlanta, and Dulles, Virginia. I live fairly close to Washington, DC (Dulles) and will be trying to make it to that show. I hope the rest of you can make one also. 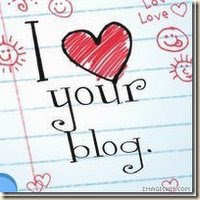 Both MommyDearest at The Quirk Factor and Terri at Barriers, Bridges and Books gave me the I Love Your Blog Award! 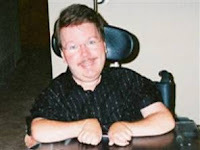 Today, I am thankful for bloggers like them who advocate for people with disabilities. Thank you both for thinking of me and sharing this lovely award! for my frequent evening chats with my friend, Lynnette. She is my sister in spirit, and she knows, really knows both the joy and the pain of parenting a child with significant disabilities. for country fried steak and pepper gravy. I know, I know, it's not very healthy, but every so often it is really, really good. that the tire on my van was going flat just slowly enough that I could make it to the tire repair shop and didn't have to stop on the side of the road. for Ashley's happy smile each morning while waiting for the school bus. for the two books one of my coworkers brought me this week. I am a voracious reader, and there is nothing that brightens my day like a good book. that I figured out that if you tip a full length mirror at a slight angle against the wall, it makes you look about 5 pounds slimmer. I don't understand why, but I swear it does. for a new pair of pajamas. Is it my imagination or do you really sleep better the first night you wear a new pair of pajamas? for a tall glass of chilled lemon grass tea. that Ashley has Miss Amy in her classroom for one more year. I'm not at all sure what Ash will do when she has to go to high school without her Miss Amy. Check out this very insightful, motivating video of a young man delivering the keynote address for the Back-to-School convocation at the Dallas Independent School District. And before anyone asks, yes, he was coached and worked with teachers over the summer to hone his speaking skills. He learned well, and his message is one, I believe, every educator should hear. Now that school has started, the next much-anticipated event is Halloween. It's never been one of my favorites, and I think our animals would agree. Wow! It's the first day of the new school year, and I couldn't be happier. Everything seems to be going right. The bus showed up ON TIME this morning, and the aide on the bus actually started signing to Ashley as she approached the bus. Ashley was thrilled. There were lots of other children on the bus, and Ashley sat next to a young man in her class. I got a text message from the teacher a little later saying that the bus arrived to school on time, and that Ashley's new aide - yes, late last Friday, an aide with proficient sign language skills was hired to be Ashley's one-on-one aide - had really clicked with Ashley. The teacher then went on to tell me that the school district had finally been able to hire two new vision teachers, and Ashley would begin receiving services immediately. The teacher wants to schedule an IEP meeting so we can finally get Braille instruction written into the IEP. Yes, it's looking like it could be a really good school year….IF ALL THE ABOVE WEREN'T A COMPLETE SET OF LIES!!!! The bus, as I expected, was 30 minutes late, meaning Ashley was late arriving at school. No aide has been hired although Ashley's IEP calls for 6.75 hours of instructional assistant support from someone who is "sufficiently proficient in sign and speech so as to provide a language role model." The classroom aide is "filling in" as the assistant principal told me two weeks ago, filling in when she's not helping other children or doing other administrative work that classroom aides are required to do. When the classroom aide is not filling in, NO ONE else in the school knows sign language. Sign language is Ashley's only means of communication. That fact makes me feel all warm and fuzzy - kind of like I just ate a quart of wooly catepillars. The email I sent to the Director of Special Ed has gone unanswered, and no one has mentioned the support of a vision teacher. So, it's actually looking like every other school year - rotten and full of battles. Today I printed out the complaint form from our state department of education, and I will be submitting at least one of those by the end of the week. An article titled, What's Missing In The R-Word Debate, appeared in this past weekend's Washington Post. The author, Susan Senator, makes some very interesting points, and I felt reading the article was well worth my time. After reading the article, I then read the comments posted by readers. That was a mistake. The more I read the angrier I got. Then it hit me. Our intellectual debates over the use of the word 'retarded', our plea for understanding of the hurt the word causes, our comparison of the word to other denigratory terms are all futile efforts. We're making no progress at all. People outside our sphere of disabilities don't get it and really aren't interested. I don't know what the answer is, but I do know that I am very sad about this.